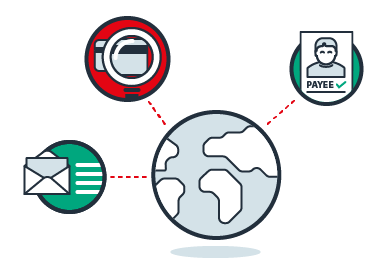 Does your business process large volumes of international payments? Using our batch payment facility, you can pay hundreds of beneficiaries through our PayDirect online platform. Streamline your payments to save time and money today. Businesses with multiple international payment requirements are often charged with associated labour intensive administration work. Add to this the need to hold multiple foreign currency accounts and the entire payments process becomes time-consuming and complex. Clients can key or upload payment files to our online system or use our integrated solution to make large batch payments. Pay a single batch of multiple payments in your domestic currency. The bulk payment appears as a single transfer on your statement. Save money on your payments processing with competitive foreign exchange rates and lower fees than the bank. Functionality to specify payment approval levels via our PayDirect online platform to combat the risk of fraudulent transactions. "The Fexco system has a validation tool that tells our staff if there is a problem with payment details. This means that we can spot incorrect bank details before it gets sent out. Also, if we need to make a payment that’s a bit tricky (for instance, a payment to a bank that doesn’t have a SWIFT number) we know that the customer services team in Fexco can get it done. Fexco is an important partner for us at DCU as we develop a more global reach."